At the core of every company’s success lie its employees; In the complex and strongly fluctuating Chinese labour market the significance of hiring the right person becomes all the more apparent. 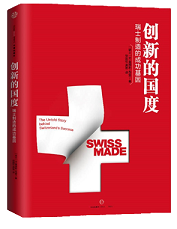 Competent and experienced in recruitment of talents, SCS can assist Member and Swiss Businesses in finding suitable candidates for company’s operations in China, for long term employment as well as temporary positions. Moreover, SCS offers employee hosting services, providing your employees with an appropriate and professional environment to carry out their tasks.